WordPress comes with a pre-defined menu then what’s with the menu WordPress plugins? A menu WordPress plugin will act as a roadmap to your entire website. Hence, a viewer will actually be scanning the key points and offerings of the website in a glance. Moreover, this menu is going to sort the entire content of your website in an organized and presentable way. And the more organized, attractive it will be, the more will it hold the viewer. Options are immense, you can go for the horizontal drop-down menu, vertical drop-down menu, a menu with infographics, Google Maps integration and the possibilities here are endless. But the result will be constant, an organized, captivating and informative menu. It will engage viewers and will adorn the appearance as well. Hence, a menu plugin for WordPress is an inevitable tool. We have worked fingers to bones to find the 7+ best menu WordPress plugins. Save your time and find the best menu plugins which are the need of the hour! Uber Menu is one of the top menu WordPress plugins and it has received a lot of love from its users with 4.5/5 ratings. Its a perfect pick if you were looking for a user-friendly, customizable and responsive menu plugin in the budget. Pricing – This menu plugin for WordPress has got an affordable price plan of $20. The layout is completely responsive. Customize colors, fonts, size of the menu without any coding. Dropdown CSS3 transitions including shift up, shift down, fade, etc. Vertical and horizontal menus with 25+ Google Fonts options. WP Responsive Menu Pro acts as a savior where everyone falls short. Themes work flawlessly in responsive layouts but the menu doesn’t go well. This menu plugin makes sure that whatever may be the device your customized menu looks great! It’s simple yet a powerful tool to completely transform your menu to a newer and a better version. You can customize the menu, style it and do a lot of things without a single code. Admin interference is a piece of cake and it takes a few clicks to create a menu with this plugin. 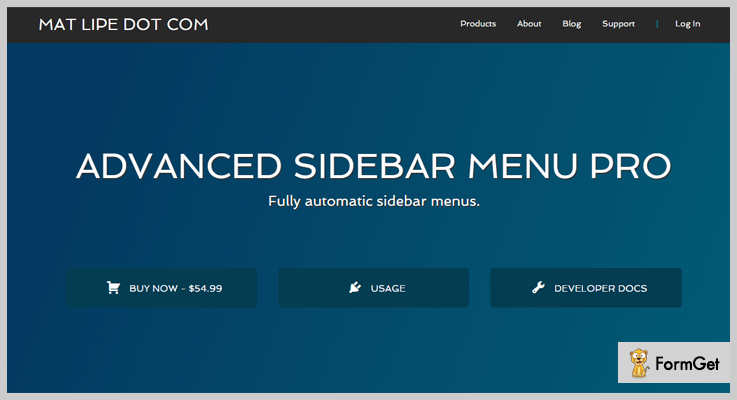 Pricing – This WordPress plugin for Menu has three pricing plans. Pricing plans are based on the site license. Completely responsive and mobile-friendly menu. Customization enabled with a lot of styling options such as color change, background change etc. Creation of custom menu for mobiles. 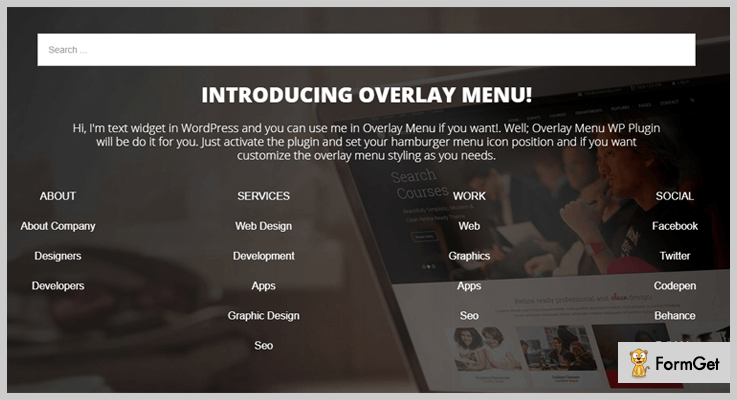 Automatic integration with the WordPress Menu System. Advanced sidebar menu pro manages menu stuff automatically and allows you to style your menu according to your taste, change the menu type to give it a new look or create a menu from taxonomies and a lot more. Pricing – This menu plugin is going to take out $54.99 from your pocket to make your menu better than ever. Accordion menu allows a user to open and close the section of a menu. You can choose to keep the menu closed until the icon is clicked or opened. This accordion menu takes menu to the next level. You can change the text of any menu with a click with link adjustment option. You can create the menu for the custom posts you choose. Styling options for links, borders, page, background color, font size and more. 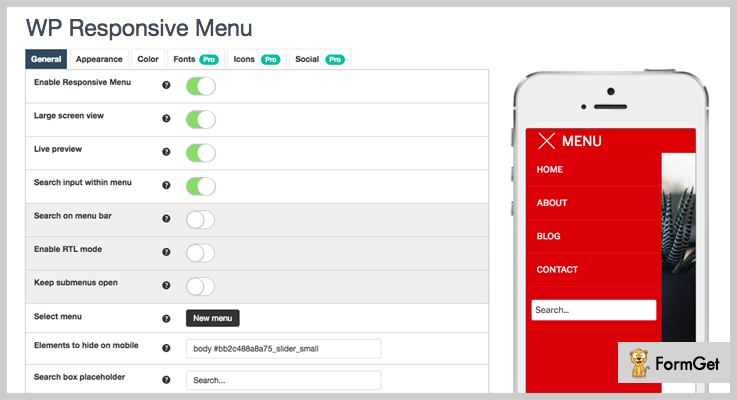 Here’s a plugin for you which will save efforts and will create mobile-ready menus. It has got a tough grip on features which you can implement on the menu to keep the visitors engaged. Two responsive menus for one page is one of the USP’s of this menu plugin. Pricing – It has a price plan of $39.99 which extends up to $249.99 which is based on the site license. 2000+ Icons (FontAwesome, Fontelicon, Iconic, Entypo, Typicons) with unlimited Google Fonts. A feature of ‘menu only visible to logged in users’. 2 responsive menus with a disable mobile menu in specific page feature. Flexible is the perfect plugin to take the appearance and content of menu to the next level. It is a fit for every budget and for every WordPress needs. It is a responsive menu WordPress plugin with translation readiness and cross-border compatibility. The features do not end here but the list is long. Pricing – Price plan is extremely simple with a one-time price of $22. Customized menu with horizontal and vertical orientation. Comes with a menu style editor to style the menu according to your taste. The menu can be all crammed up at times and this menu plugin comes up as a rescuer. Here you can manage a number of menus at one place. It’s a backend utility tool which works together with WordPress 3 Menu. If you have more menu items than the accommodation space of the screen then this plugin will be a bliss. 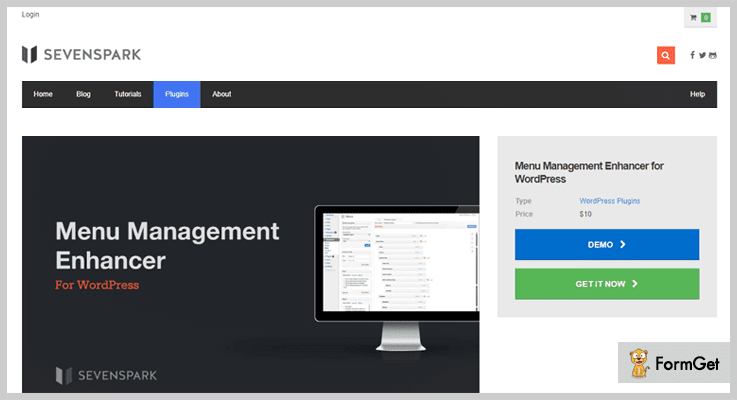 Pricing – This menu management WordPress plugin is a treat for the pocket with a small price of $10. Manages the items on the menu with ease. Enhances drag, drop, jump-to-item functionalities. Works on the expand and collapse functionality of the menu. It counts child and descendant menu item at a glance. You can use this to create an overlay menu or mobile menu to main navigation or anywhere outside of the navigation into the website. The plugin is highly flexible and has got various styling and positional settings. Pricing – This plugin is going to go easy on your pocket with a price plan of $16. Translation ready with WPML support. Styling enabled with background image options, image options, widget readiness and more. 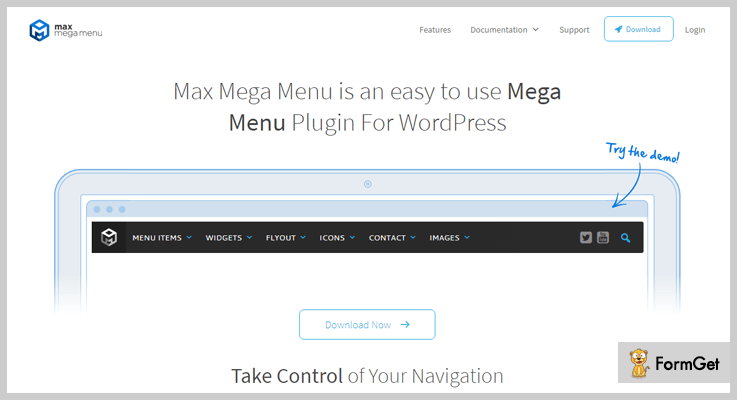 In Mega Menu you’ll find everything in mega size, be it the features, reviews, or active installations. With 200,000+ active installations, it is ruling the menu plugin market and ratings of 4.8/5 prove that it has won the hearts of the users. This plugin is, in fact, more flexible than the WordPress themes. You can keep on restyling the menu, add any widget to it, and do a lot more things. In spite of heaps of features, it is extremely user-friendly and takes a few clicks to install and use. Pricing – This is a free menu WordPress plugin so, you absolutely need zero $0 to restyle your site’s menu. Add interactive elements like any WordPress widgets to the menu. 4+ menu transitions including fade, fade up etc. Responsive layout with retina ready display. 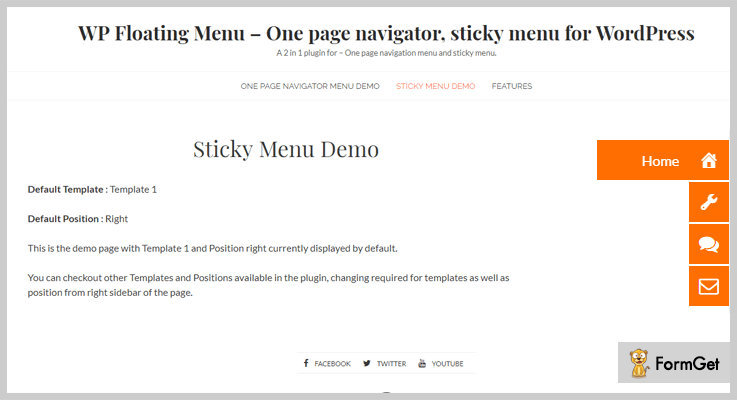 WP Floating Menu is a free menu plugin to make one-page navigator or sticky navigation menu for your website. This plugin gives your website a one-page scrolling navigation without download of any one-page theme or coding. It takes a few seconds to transform your website into one-page scrolling navigations site. 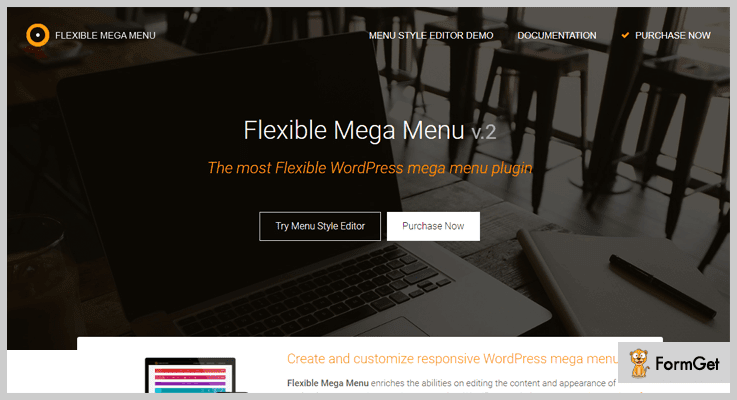 Pricing – It is a free menu plugin for WordPress! You can use it for one-page navigation or sticky menu options. 5+ pre-built templates to choose from. User-friendly drag and drop approach to create the menu for your taste. Fully responsive with translation readiness and cross-browser compatibility. This was our take on the 7+ best menu WordPress plugins. 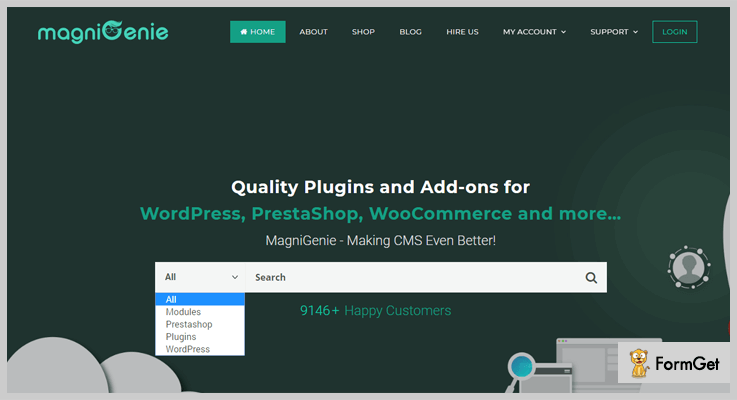 We hope you are going to transform the look of your website using one of the menu WordPress plugins suggested by us.